On Thursday, May 17, Key West Art and Historical Society’s Distinguished Speaker Series welcomes historians Laura Albritton and Jerry Wilkinson to Old City Hall, 510 Greene Street, where they will offer archival photographs and accompanying stories of one of the most legendary avenues in the United States. 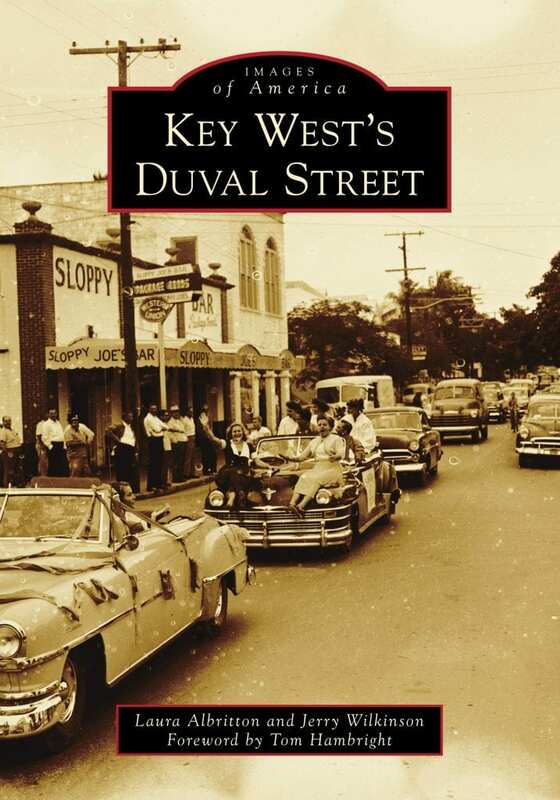 The 6 p.m. presentation of “Key West’s Duval Street” traces the development and origins of the iconic thoroughfare. Highlights will include famous buildings such as Key West’s Oldest House, St. Paul’s Church, the Southernmost House, the San Carlos Institute, and La Concha Hotel, along with fabled bars during the Prohibition and the Depression.